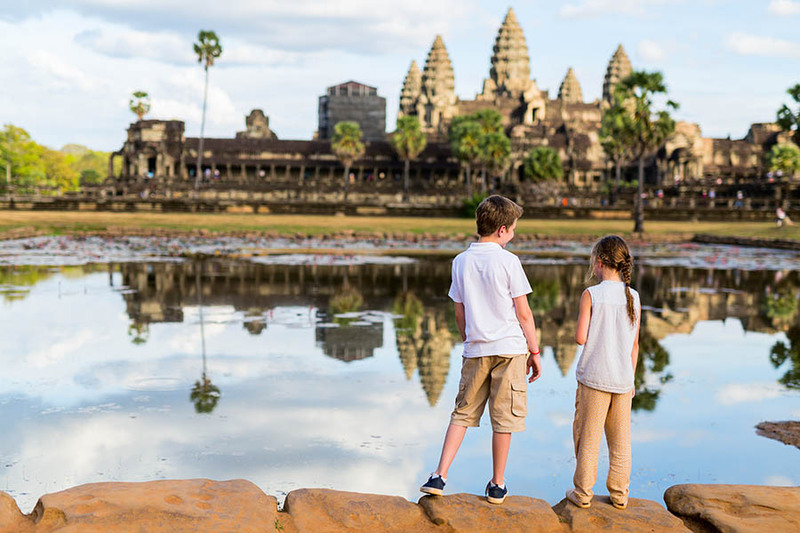 For our 2-week October half term holiday last year, we wanted an exotic, family-friendly destination that provided affordable luxury, and Thailand fitted the bill. 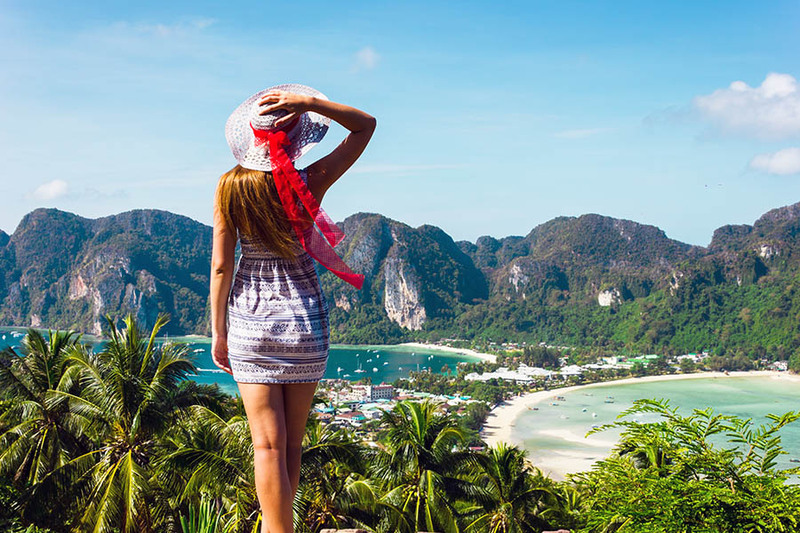 We opted for the west coast for its wide range of paradise beaches and reasonably-priced 5-star hotels and started planning our family trip to Thailand. Krabi Province is ideal for relaxing and enjoying some quality time with your little ones, lazing on the beach and by the pool in the glorious sunshine, or joining one of the many excursions to explore marine life. The choice is yours! 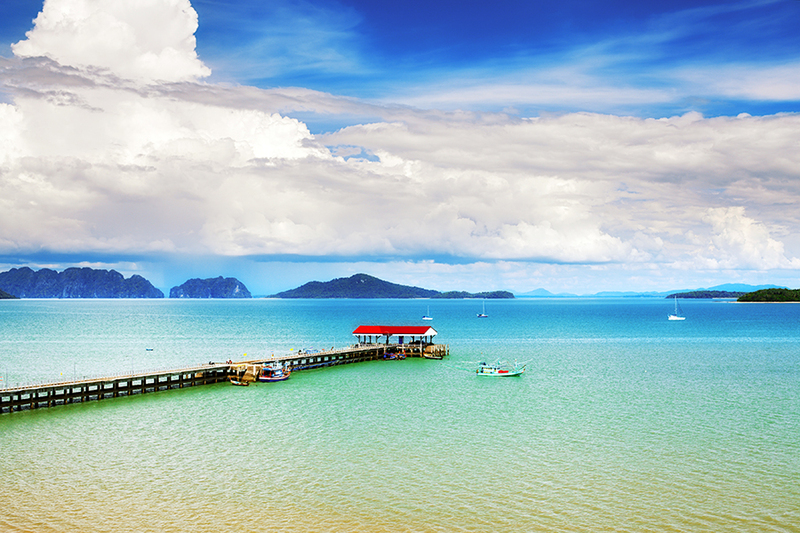 If you’re wondering what to do in Krabi and Koh Lanta with kids, here are some tips. We chose to visit Thailand’s Andaman coast in late October, where it was the end of the “green” season. Weather and climate are becoming harder to predict, but we made the call that we shouldn’t be too adversely affected by rain at the end of October. And despite the odd shower, we were absolutely fine. If like me you have children and can only travel during the school holidays, I would recommend avoiding Thailand’s high season from December to February (guaranteed higher prices and bigger crowds in the Christmas and UK summer holidays) in favour of the shoulder seasons which last from May to June and September to October. Airports at half term can be busy, so we specifically chose to fly to Krabi, a small airport with no other international flights arriving, so exiting the airport was swift. We opted for Qatar Airways, a 5-star airline, to make the journey as easy as possible, and flew from Gatwick via Doha. When travelling with small kids, the airline will seat the kids with at least one parent, and Qatar offer free-of-charge advance seat selection (which we can arrange for you), so you should be able to all sit together without a problem. Try to book the seats as close to the front of the cabin as possible, so you can be first off and breeze through immigration. Our first stop was the delightful Anyavee Tubkaek Beach Resort, a 45-minute drive from Krabi airport. To make our life easy, especially with young kids and all our luggage, we pre-booked all the transfers. Choosing a small airport with an early arrival meant very little traffic, so the transfer was swift. Having booked the transfer with an English-speaking driver, we were able to get his advice on excursions. I had asked for an early check-in, so we didn’t have to wait long for the room. While this is never guaranteed, the benefit of travelling in the shoulder season is that it’s much more likely to be available (we can request this for you). The Anyavee is at the far end of Tubkaek beach. Beyond that is a jungle, so the hotel is very suitable for families, as it is well away from the party scene. The sea is safe and shallow, and there is ample shade. Along the sweep of sand are a few other low rise resorts, so although you have the tranquillity of being fairly remote, you also have a few choices to eat. The hotel itself is similarly tranquil and calm, with luxuriant tropical vegetation, and the kids are made to feel very welcome. We took the driver’s tip to travel into Krabi town for the weekend night market. We grabbed a table in the square, went off on sorties and came back with all manner of tasty treats. This was a great eye-opener for the kids with the mix of smells, noises and colours, and although it’s rather popular with tourists, it was good to be somewhere which a majority of Thai people. While in Tubkaek, there are several day trips you can join to visit the nearby islands (Koh Phi Phi, James Bond Island etc. ), but we found we were more than happy relaxing on the beach, timing swims for high tide, or at low tide using either of the hotel pools. After a few nights, it was time to move on to our next stop – Koh Lanta. During peak season, Koh Lanta is easily accessible by ferry from Krabi, but in late October the ferry service was not yet running, so we booked a private transfer via the mainland and a short hop on a car ferry. Our next hotel was the Crown Koh Lanta, which sprawls over a surprisingly hilly promontory at the top end of the sweeping curve of Klong Dao Beach. We chose a pool access room and had requested the end room, so looking out from our terrace, we could pretend we had our own private pool villa! The pool access room was fantastic for kids (as long as they are confident in the water) and from dawn to dusk while in the hotel room, one of them could surely be found in the water and it was easy for us to keep an eye on them. For adults, the long, thin L-shape design gives you the opportunity to put in some laps. The hotel site is vast, and the kids would always be looking to take the buggy to get around. You’ll have access to a small private cove, and the start of Klong Dao Beach is only a few minutes away. Another highlight of the hotel is watching the sunset in their Reggae Bar, which took me back quite a few years to my first visit to Thailand, sitting on cushions and enjoying the Happy Hour with, of course, the sounds of Bob Marley! The Crown Koh Lanta is close to the main town of Sala Dan in Koh Lanta, so each evening, you’ll have a choice of regular taxi, motorbike rickshaw or, even better, a fully decked-out Party Songthaew. Once you get to Sala Dan, there’s a selection of overwater restaurants specialising in the freshest seafood for your delight. My overriding impression is that everything about this part of Thailand is relaxed and easy going and done with a smile. From Koh Lanta, you can book excursions to islands in the Andaman Sea such as Koh Rok and Koh Ngai for some spectacular snorkelling and diving. We chose to visit the Lanta Animal Welfare, a small charity set up by a retired teacher from London. Staffed by volunteer holidaymakers looking to both extend their trip and contribute, it aims to relieve the suffering and pain of stray cats and dogs on the island of Koh Lanta. The Lanta Animal Welfare treats rescued animals and runs a sterilisation programme to try to minimise the number of strays. While there, you can play with the healthy cats and take dogs for a walk. Donations are most welcome, and who knows, you may even adopt a pet! Leaving the best to last, the Pimalai Resort and Spa was our final stop, 20km or so to the south of Koh Lanta. This independent hotel offers luxurious bungalows in spacious grounds with exemplary service. The rooms blend into the jungle, and while walking around, we spotted some pretty big monitor lizards. The hotel complex is quite vast, so you’ll need to take another buggy to the upper infinity pool, which is high up the cliffs and had fantastic views of Bakantiang Beach. Of course, there were lots of fine dining options in the hotel, but along the beach is where the more casual options are, with the ubiquitous fire twirling. Quite a few activities are included, such as paddle boarding, kayaking and sailing. My daughter was even able to try kickboxing when we booked her in for a Muay Thai lesson. Finally, our stay came to an end, but we left in James Bond style, taking the speedboat transfer back to the mainland and then a van transfer to Krabi airport, for our quick flight to Bangkok. Bangkok has a huge amount of options to stay. We chose the Prince Palace Hotel, overlooking Maha Nak Canal – it had the required swimming pool and a two-bedroom suite, so we had enough space for the whole family. I’d recommend leaving Bangkok to the end: we packed in tuk-tuk rides, ferry trips on the Chao Praya River and of course a visit to Khao San Road for some last-minute shopping and fried scorpions. Ok, we declined to eat the latter, but the kids were certainly both impressed and horrified by all the dining options. Interested in a family trip to Thailand? 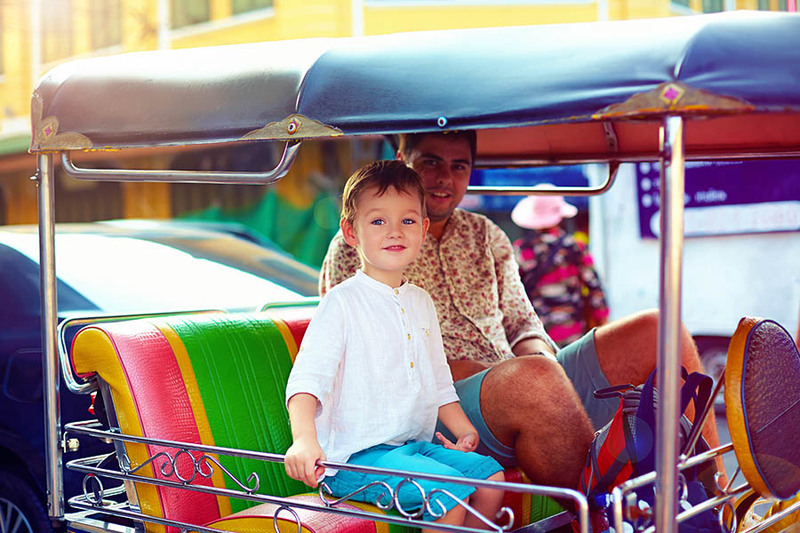 If you’re planning a family trip to Thailand and want to know what to do in Krabi with kids, I can give you some advice and help you arrange every aspect of your journey, direct or multi-stop flights, transfers, accommodation, tours and excursions. 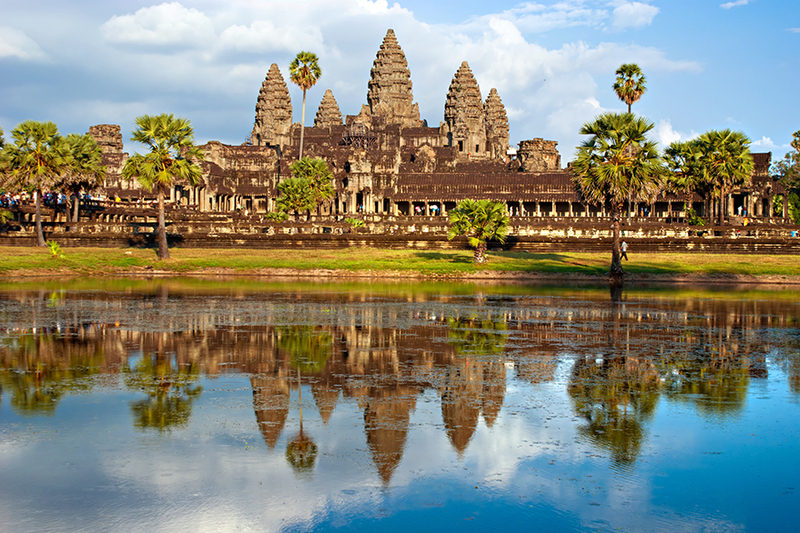 Take a look at our Thailand travel guide and top 10 things to do for some inspiration and contact Sean to start planning. Alternatively, give us a call on +44 1273320580 or send us an email and we'll get to work.